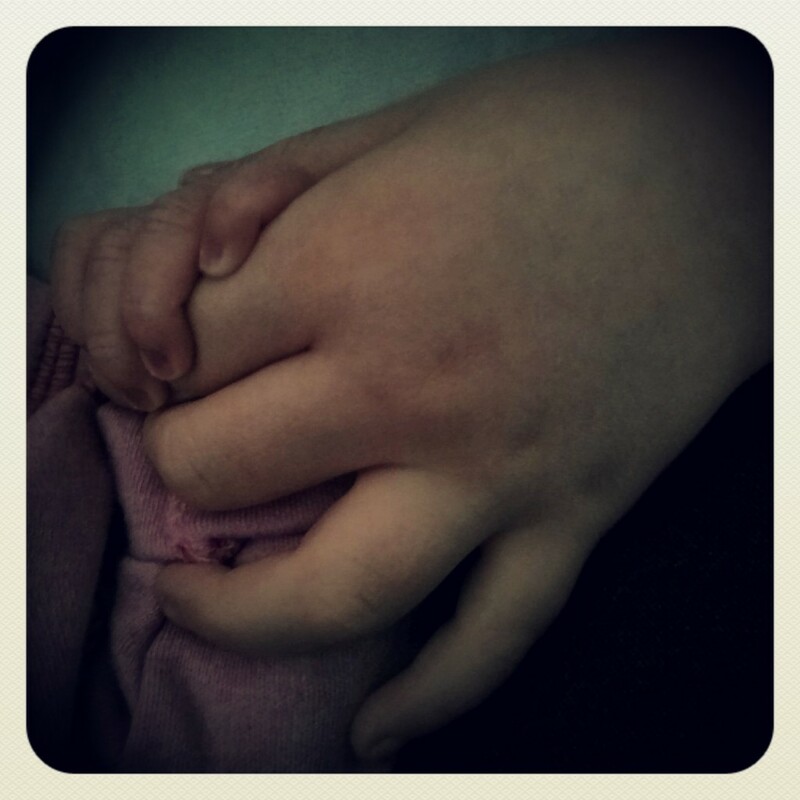 It’s a fortnight since Susanne and I launched the Maternity Matters linky and we had some absolutely amazing posts linked up in that time. Reading about everyone’s experiences reminds us exactly why we started Maternity Matters in the first place and we hope that the linky will continue to be as popular in the coming weeks. This week, I’ve linked the post that I wrote about my second c-section and how it was a healing experience, compared to the chaos and heartache of Sausage’s emergency c-section birth. I was terribly nervous all through my pregnancy at the thought of being awake through what amounts to some pretty major abdominal surgery and I even watched videos on YouTube of other people’s elective cesareans so I’d have an idea of what I could expect (control freak? Me?!). If you’ve got a fairly strong stomach, I’d actually recommend watching a few videos if you’re unsure of what to expect from a c-section as seeing it in action completely demystified the whole process for me and gave me a much better understanding of what would happen on the day. 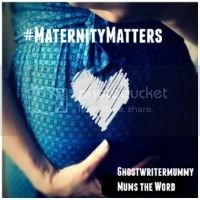 Anyway, without further ado, here’s where you can link your posts this week, and don’t forget to grab our lovely badge to stick at the bottom of your posts so that your readers know where to find lots more great maternity-related writing. When I started blogging in the Autumn of 2010, a large part of my need to get my thoughts out of my head was because of the birth trauma I’d suffered whilst having Sausage in August 2008. Skip forward two years and I’d joined forces with Susanne from Ghostwriter Mummy, someone I’d only ever communicated with online, but who understood me better than some people I’d known my whole life because she’d been through a traumatic birth of her own. You don’t want to believe that trauma, depression and PTSD will be something that defines you for the rest of your life but, in my experience, it’s something that does stay with you forever – you just learn how to carry it more comfortably, over time, like a heavy bag with a rubbish handle. And it’s out of this shared experience that Susanne and I started Maternity Matters, a place for us and anyone else to tell their stories, find some support and to join together in improving knowledge and care for families who’ve suffered a trauma. Over the past three years we’ve shared some incredible accounts of women of all ages and all walks of life, as well as collating news regarding maternity care in the UK, although life and babies (two more for Susanne and one more for me, bringing our collective total to six!) meant that the site has gone unloved for a while…until NOW! We’re hoping to bring Maternity Matters back to life and get it back on track. Susanne and I have a lot of new experiences to write about and we’re hoping that we’ll have lots of contributions from fellow bloggers and parents who want to share their stories. The linky will go live every other Friday and we’d love to get as many of you as possible linking up with ANYTHING maternity-related. 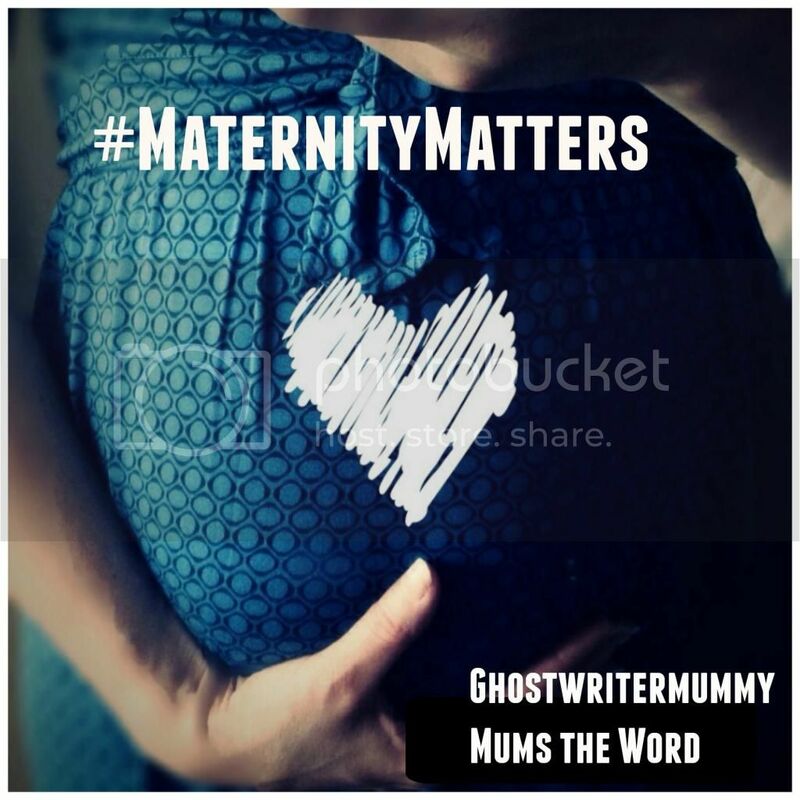 Also, if you’d like to contribute to Maternity Matters, please email jayne@maternitymatters.net with your ideas. If you’ve read Sausage’s birth story before, you’ll know that it didn’t go at all to plan. The whole thing was a disaster, right up until the surgeon pulled her from my body in under a minute, saving her life and getting her into the world safely. It’s taken five years to consider the prospect of doing it all again, but as you’ll know if you follow me on Twitter or Facebook, my second daughter was delivered just over three weeks ago. I had to be in hospital for two and a half days before I gave birth as I was only 36+6 weeks gone and had to have steroid injections to ensure that the baby’s lungs were properly developed. However, steroids can play havoc with blood sugar and being diabetic already meant that I needed to be closely monitored to ensure that I didn’t go too low or too high, as well as being on a constant insulin drip. I had to take my blood sugar, via finger prick test, every hour for the entire duration of my hospital stay, which sucked. The first night I was there, I managed a total of 45 minutes sleep, and the second night about 2 hours sleep. By Monday morning, I was SO ready for my c-section to happen, despite being nervous about the whole thing, and luckily I didn’t have long to wait. Husband arrived before 9am and soon, the scrub nurse was ushering him off to get into scrubs and wellies (yes, seriously, wellies! Although, I must say, he looked rather tasty in scrubs!). Walking into the operating theatre felt odd – last time, I’d been shoved through on a gurney and put to sleep in the space of a few seconds. Now, I was chatting and laughing with the theatre staff and being put at ease by Husband. The spinal was the part I was dreading the most, but I had two anaesthetists in the room, both of whom were very reassuring and kind, and not only was it over in no time, but it was SO much less painful than I expected it to be. Don’t get me wrong, feeling someone sticking a needle into my spine was slightly odd, but it was totally manageable. Once they were sure that the spinal had worked, the screen was put up and the operation began. I could feel lots of pulling and moving around, but no pain – all of it was very odd! At one point, Husband stood and looked over the top of the screen, just in time to see the baby being pulled out of my tummy! She’d been very low down and had wedged herself in with one arm above her head, so the surgeon had to use one side of a set of forceps like a spoon to help him to scoop her out. Between the moment she was pulled out of my body and the first time I heard her cry, it felt like all of the air had been sucked out of the room. The trauma of Sausage’s birth hung over me like the blade of an axe, but hearing her let out a cry made the horrible memories evaporate. I’ll admit, I cried right along with my newborn daughter, tears of relief and love pouring out of me. I felt overwhelmed with gratitude to both the team who’d done my c-section, and the surgeon who’d managed to deliver Sausage all those years ago. It had all gone to plan and my newborn daughter had been delivered safely. After the baby was out, the surgeon took a long time sewing me back up and it really shows – my scar is almost invisible! One of the weirdest experiences I’ve ever had was as the team were prepping me to take me to recovery; out of the corner of my eye, I saw one of the nurses move something across the bed – it was only when I looked down that I realised the ‘something’ she’d moved had been my right leg, but I had no sensation in it at all! Despite three miserable days spent hooked up to a drip, despite my tiredness, my bruised coccyx from sitting in a bed the whole time, despite being away from Sausage and Husband and despite all of my fears, I felt utterly blissful in the hours after the birth. It was such a different experience from my first c-section and I really felt like it had gone a long way to repairing some of the damage done to my heart and mind. Being conscious and hearing my baby’s first cry was something I’ll never forget. We were home within a day and a half and family life has steadily been getting back to some semblance of normality. We’ve discovered that the baby loves to be swaddled, wrapped like a burrito, leading to the name she’ll be known as here on the blog…Burrito Baby, or BB!